Today Russia is becoming a very attractive and lucrative market for international clients, but at the same time foreign entrepreneurs intending to do business in Russia face a different business environment, which is unfamiliar and unclear for them. Our team consists of carefully selected, well-experienced, qualified and self-motivated professionals who keep track of the latest developments and changes in the realities of the Russian and foreign markets. Our legal experts offer practical experience and professional know-how to our clients in such areas of business support as companies formation and taxation, banking and finance, accounting and tax planning, licensing and corporate law, marketing and promotion. Besides, we will help you to find the right partner to develop your business in the Russian market. We can be there with you at every step of the way of your organization's journey, from its inception and early development - by helping you to implement your ideas and make them a reality; to the latest stages of its lifecycle - by bringing newfound opportunities and assisting you in reinvigorating the enterprise solving. We believe that strict confidentiality is a very important factor and that is why we try to deal with each client on individual basis. 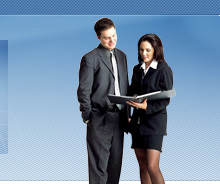 Our company will represent its clients in a fair and open manner. Your personal legal consultant will focus during the whole period of our cooperation on understanding, assessing, designing and implementing the solution that best fits your needs and provide you with quick results you will definitely appreciate. We hope that our Website will be of assistance and you will be able to become acquainted with general concept of what Russian market is and what are the main steps of doing business in Russia.